Recommended Use or Purpose: Aids in the muscle recovery process by reducing muscle tissue damage associated with a resistance training regimen. Helps support muscle tissue repair in individuals involved in resistance training. 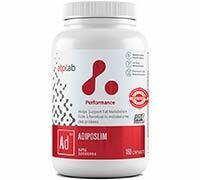 Helps support fat metabolism. Source of an antioxidant. Workout support/supplement. Could be a complement to a healthy lifestyle that incorporates a calorie-reduced diet and regular physical activity for individuals involved in a weight management program. Helps maintain healthy blood pressure levels. Helps support cardiovascular health. Provides support for healthy glucose metabolism. Helps to maintain the body’s ability to metabolize nutrients. Recommended Dosage: 2 capsules 2 times a day. Take 2-4 hours prior to exercise. For weight management and to support glucose metabolism, take before meals. nausea or headache. If you develop symptoms such as sweating, paleness, shivering, headaches, dizziness and/or confusion, stop using this product and consult a healthcare practitioner (as these symptoms can be caused by low blood sugar). Contra-Indications : If you are pregnant or breastfeeding, do not use this product.